In case all the new graphic novels weren't enough, we've also just received an absolutely massive shipment of graphic novel restocks! We've got restocked volumes of Scott Pilgrim, Saga, The Massive, Batman, Deadpool, and tons more. 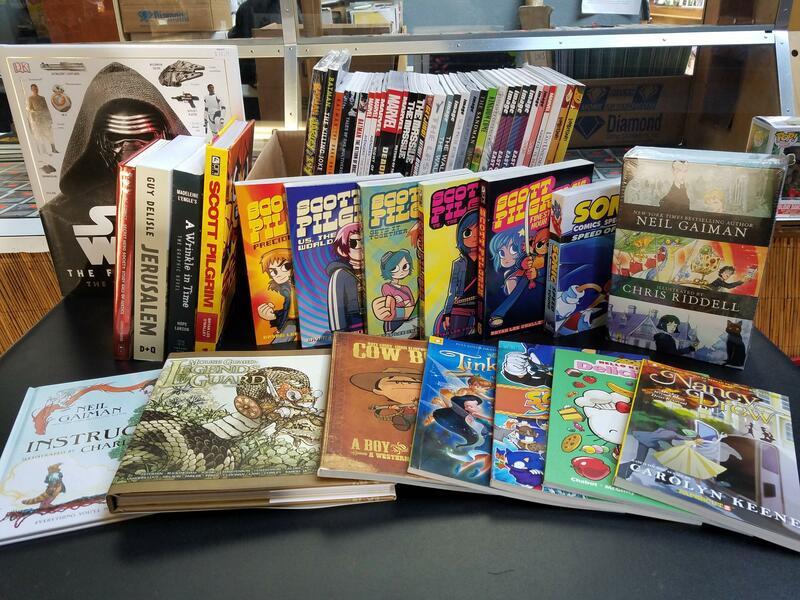 Come stop by the store and have a look at our huge (and now slightly huger) selection of graphic novels.